A reader sent me an interesting photo a couple of weeks ago. 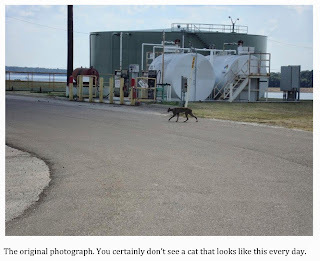 The photo features what looks to be a large, dark and very strange looking cat of some kind. 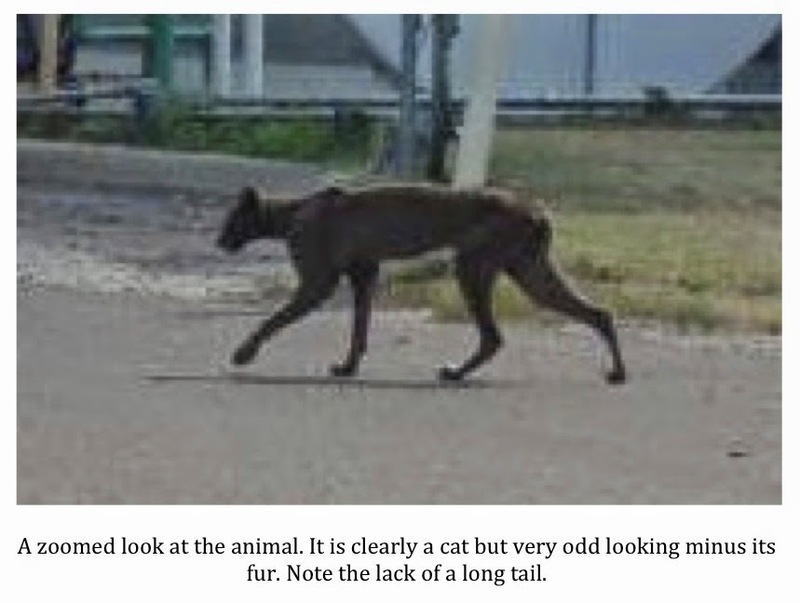 As you will see, the cat is very unusual looking and the reader was hoping for some help in identifying exactly what kind of cat was roaming about near her home. 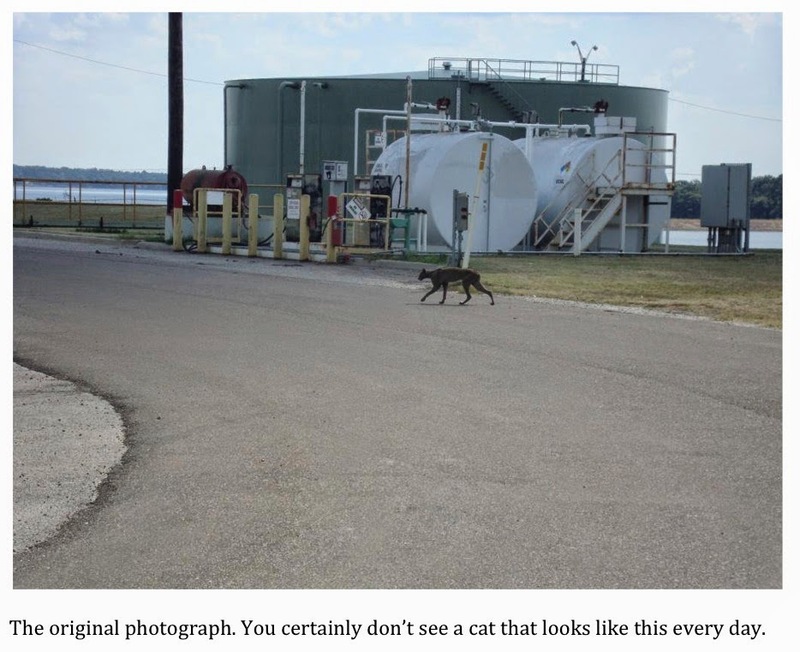 The photo was actually snapped by the reader’s father at his place of employment, a plant near Mount Pleasant, Texas. As if often the case with these types of photos, there is little in the picture to provide scale so determining the size of the cat with any real accuracy is impossible. Having said that, the cat appears to me to be larger than an average house cat and very long-legged. 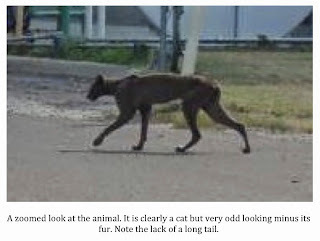 No tail is visible in the photo, though it is difficult to say absolutely if it is not present or, possibly, tucked between the back legs of the animal. Stranger still, the cat seems to be almost completely hairless. While I have seen multiple animals, ranging from coyotes and foxes to raccoons suffering from hair loss due to mange; I have never observed a wild cat in that condition. Cats can, and do, get mange. Mange is caused by parasites and cats can suffer from several different types. 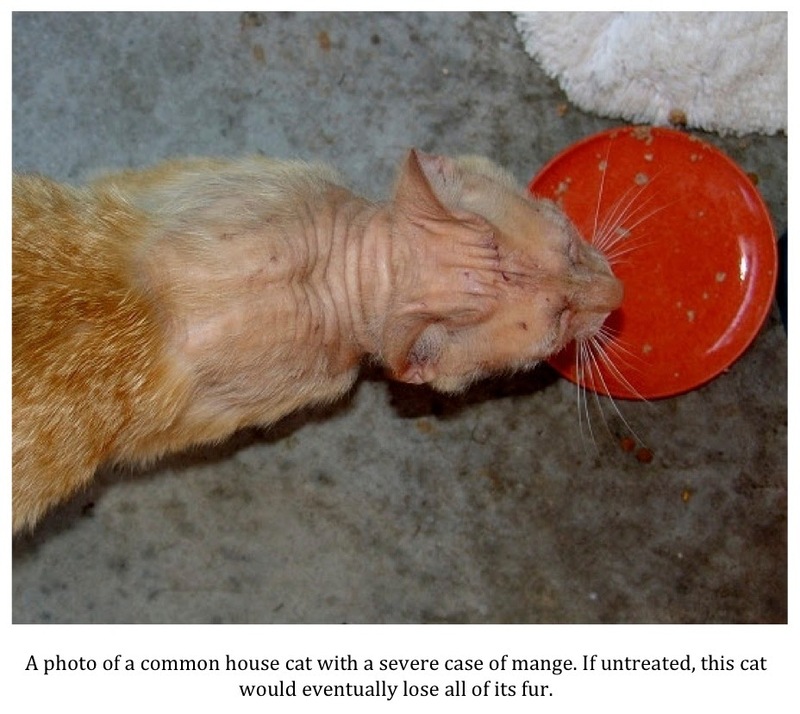 By far the most common form of feline mange is called Feline scabies (Notoedric mange) but cats can also get Sarcoptic mange, Cheyletiella mange, Otodectic mange (ear mites) and Demodectic mange. Symptoms vary, depending on the type of mange contracted, but some that are common almost across the board are weight loss, brown marks on the nose and ears, scabbed patches on and near the head and neck, patchy hair loss, very thin fur and scabs and “crusty patches” on the body. It is rare to see a domestic cat with near total hair loss as owners recognize the symptoms fairly early on and get their animal to a vet for treatment. A wild cat would be a different story, however, as there would be no treatment for an animal suffering with this condition. Certainly, mange has been a real problem among the wild canids of Texas over the last ten years or so, resulting in a host of “chupacabra” sightings. I, myself, have seen a coyote, completely devoid of hair, in the Sam Houston National Forest. Since several types of mange can affect felids as well as canids, it is only natural to think it could be a growing problem for our wild cats as well. 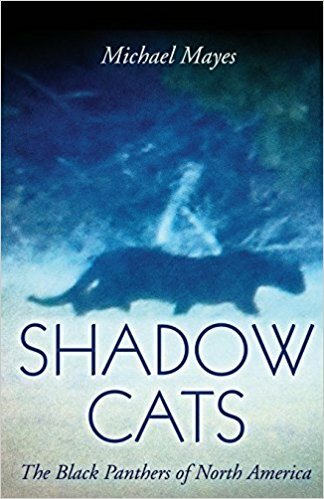 The reason that it has not been observed, in my opinion, is that cats are so much more elusive than canids. They simply are not seen very often. Now, back to the photo. Based on all of the above, my best guess is that the picture shows a common bobcat (Lynx rufus) suffering from a terrible case of mange. The long-legged appearance of the cat and the seeming lack of a long tail all but cement this animal’s identity in my mind. The lack of fur certainly give the bobcat an odd and alien appearance, but I believe a bobcat is exactly what we are looking at in this photo. It just goes to show that nature always has a surprise or two for us. It also points out the need to always keep a camera handy. You just never know what you might come across out there. I apologize for the lack of action on the blog of late. While I have been quiet, all is well. My hiatus has been partially self-imposed and partially dictated by life. Every summer, I take a few weeks off to rest and recharge. I may be doing things but I intentionally step away from the blog for a while. I think this is important as I never want the blog to feel like a job. Sometimes, regardless of how much I tell myself there isn’t, I feel pressure to get “something” out there on the site at least once a week. That feeling can sneak in even if I don’t have any quality content to post or on which to comment. To combat this, I simply force myself to step away from time to time. 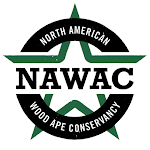 I haven’t been completely idle, however, as I did recently spend a week in “Area X,” the NAWAC’s main area of study. I left immediately upon finishing up school for the year and spent my first week of summer attempting to gather evidence to help in the documentation of a species of North American ape. Things along those lines did not go well as a major rain event kept me and my team pinned down for much of our time in X. The area is very beautiful, however, and despite a lack of ape activity and evidence on this particular trip, I never consider getting back to nature a waste of time. Area X is wild, beautiful and isolated, exactly what I need after a long school year. On top of all of that, my oldest daughter is now engaged to be married and plans for a wedding next summer are in full swing. While I do not have much of a say in most of the planning, that is the realm of my daughter and wife, I do need to be around to write most of the checks. Any Dads out there who have had daughters get married know exactly what I’m talking about. It is a joyful time, though, as my daughter’s fiancé is a terrific young man. 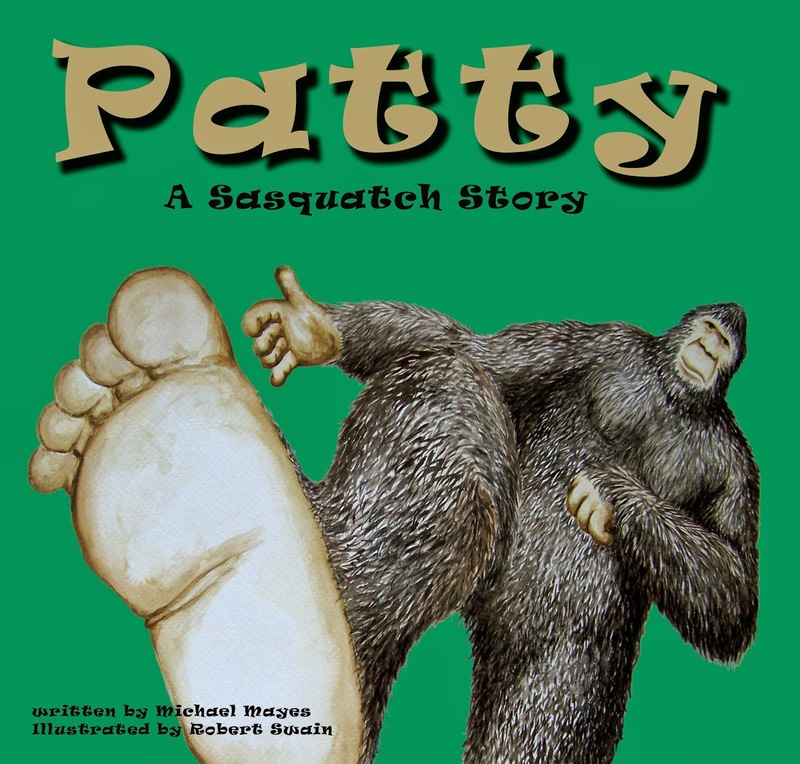 He loves the outdoors and even has an interest in the bigfoot phenomenon. Who could ask for more, right? I will be getting back to posting more regularly now that I’m home and rested up a bit. I’ve got some pretty good topics coming up that I want to discuss and on which I want to give my two cents. Thank you all for hanging in there with me.